More than 38,000 participants attended the COP21 climate talks in Paris. Cut to 2017. 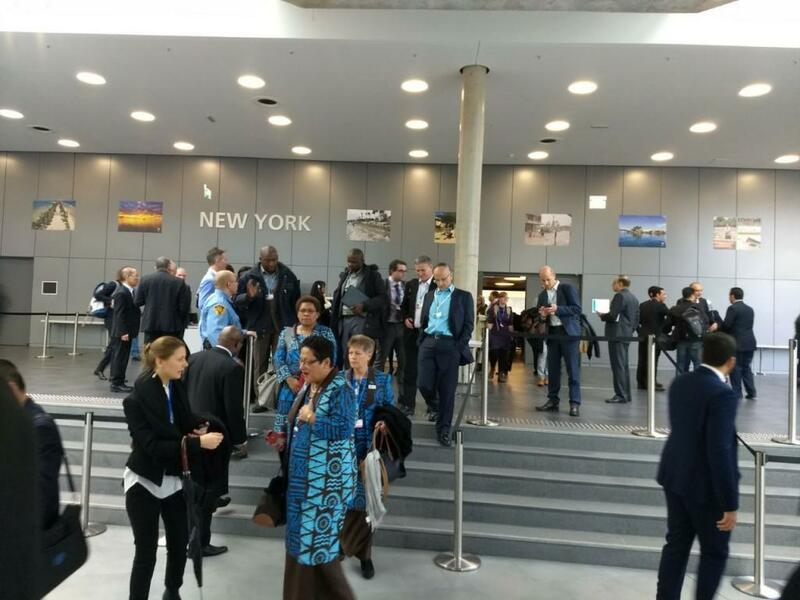 The number of participants attending climate talks underway at Bonn has halved to just over 19,000, including 6,176 representing UN bodies, specialised agencies, and intergovernmental (IGOs) and non-governmental organisations (NGOs). The number of delegates representing UN bodies, specialised agencies, and IGOs and NGOs were 6,458 at COP 22 in Marrakech and 9,411 at COP21 in Paris. According to the UNFCCC’s provisional list, the strength of US delegation for COP23 has also dwindled to just 48. It is a huge dip from 124 in 2015. Ahead of Bonn climate talks, there were speculations about the US role in negotiations, with the country itself giving an indication that it would work towards “securing its economic interests”. Its neighbour, Canada, has also scaled down the number of delegates from 225 during COP21 to 161 this year. Not surprisingly, the largest party delegations have come from Africa, with the top 5 highest participation coming from African countries: Côte d’Ivoire (492), Guinea (355), Democratic Republic of Congo (340), Congo (308) and Morocco (253). Germany, which had sent 114 delegates to COP21, has the highest representation from Europe this year with 230 participants. While France (177), Poland (77) and the European Union (76) have sent sizeable delegations, the number of UK delegates has dropped from 96 in 2015 to just 45 this year. Scaling down of delegation strength is visible among some of the members of BRICS grouping. Brazil (128), China (82) and Russia (71) have seen sharp reduction in delegation strength as compared to COP21 when their delegation size was 319, 326 and 315 respectively. Some prominent greenhouse gas emitters, who sent large delegations, include Indonesia (158) and Japan (109). North Korea has sent just two delegates as opposed to eight in 2015. India, which sent one of the largest delegations (182) to COP21, has brought only 45-member team to Bonn. Please note that this analysis is based on the provisional list of people who had registered by the end of October. The UNFCCC will publish a final list at the end of the COP.